Filed to: Psp go!Filed to: Psp go! Sony's rumored plans for a new PSP—supposedly dubbed the PSP Go!—may also usher in a new wave of games becoming digital downloads for the device. That includes, allegedly, the long-awaited arrival of Gran Turismo Mobile. No. Really. 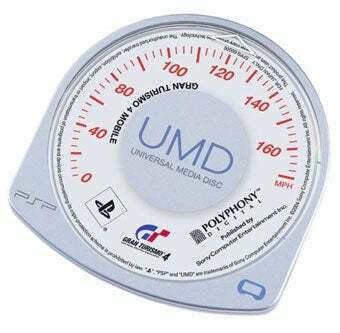 According to 1UP's report on the oft-rumored PSP-4000/PSP Go!, Sony will be releasing about 100 new and classic PSP games in downloadable form on the PlayStation Store when the new PSP launches. 1UP even writes that Polyphony Digital's Gran Turismo Mobile is "said to be one of the premier launch titles." Announced in 2004, there's been little mention of the portable racing simulator, with Polyphony boss Kazunori Yamauchi saying the title was still "moving forward" last November. Gran Turismo PSP Still "Moving Forward"? Really? With two alleged storage options available (8GB and 16GB), future PSP owners may have to budget their internal storage space wisely, unless Sony has something clever planned for managing all those downloads. 1UP says it expects Sony to announce the new hardware at E3, just mere weeks away. Keep an eye peeled.